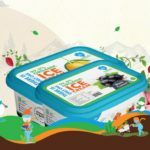 Iceberg became the best Icecream franchise in India from the year 2012 and BMK group is the one who made it possible for us with all kind of pan and mist recipes. Proudly, the first brand to present Dragon Breathe desserts in India. Iceberg reproduces sublime taste and this resonates with every taste bud considering the daily lifestyle. All it takes is a try, to fall in love with the velvety foam as it is balanced with a healthy nutritious lifestyle. Compliment your simple moments with Iceberg by your side. Iceberg is a W-ice cream! At Iceberg, we deliver our products wisely with no compromise in the quality of ingredients. We are bound to keep our vision and values. Our improved and well-defined manufacturing methods are set aligned with these values to bring out the best under strict hygienic regulations. We focus on our responsibility in bringing you the finest ice creams in town. Our reflective attitude and processes are defined to embrace our responsibility towards our customers. We believe in quality, variety and accessibility at a higher level to achieve success by building genuine taste. At Iceberg, we offer superior quality products with the richness of milk cream and natural flavours in every hand pulled scoops. A fine balance between taste and nutrition is what we create through our ice creams. With tons of flavours and wide range of toppings, levitate your cravings, deep into the flavours. With a wide range and top quality ice creams, Iceberg creates sumptuous treats for each of our customers. Our widest and unlimited choices for toppings are the main attraction and is what makes our customers crave for more and more. We keep it simple for every sweet tooth and that makes the difference. Recreate your life, revamp your memories and celebrate every bite with Iceberg ice creams.